When you send a loved one into a nursing home or long-term care facility, you hope that he or she is getting the best care. You hope. The reality is that almost all facilities are understaffed. Patient care is an expensive and often thankless profession. One of the major difficulties and problems with nursing homes is often the low pay their staff are offered. For janitors and housekeeping, it’s not unusual to be paid a measly $9 per hour. Certified Nurse’s Assistants (CNAs), the staff responsible for the bulk of patient care, receive a little more, but are often still underpaid as well. And, while LPNs (Licensed Practical Nurse) do receive higher pay than almost all other staff members, it’s not always commensurate with the work being done. Where’s the money? In the administration. Administrators can make upwards of $80,000 to $100,000 or more. Director of nursing positions are also in line, pay-wise. But, at the boots-on-the-ground level, patient care sometimes gets sacrificed to low wages. CNAs, and other staff, tend to offer care that’s commensurate with the pay they receive. Kitchen staff, although typically indirectly involved in patient care, are responsible for making good and nutritious food for residents. LPNs are often overwhelmed with patients. There may be 15 to 25 patients assigned to an LPN – this person is responsible for dosing medication every hour or several hours, as needed. These nurses are often stressed with the patient load and simply cannot do what RNs can do, which is diagnose, assess, and treat patients. Even if the number of LPNs were increased, there would need to be more RNs to manage overall patient care as well as the increased number of RNs. To make matters worse, Insurance companies do not always understand the increased level of care needed in these facilities, so reimbursements and payments from insurers don’t always facilitate more staffing. 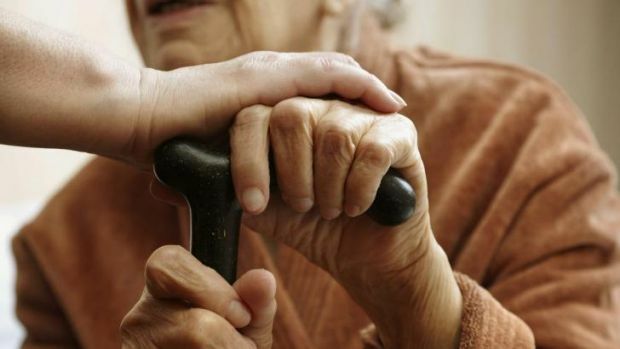 Elder abuse is a huge problem in nursing homes. CNAs, and other staffers, unfortunately sometimes abuse patients by hitting them, treating them roughly during procedures, not properly assisting them with routine hygiene care, and even neglecting them. Of course, an elder abuse attorney is the most common and obvious solution to the problem. An attorney, and an ombudsman, can help stop abuse. But, the problem must be discovered and proved first, which can be difficult. If you are unsure if someone you know is being abused, check out the infographic, “What You Need To Know About Nursing Home Abuse”,by Banville Law. And, once you remove the offending staff members, you’re still left with a staffing shortage. Nursing home staff problems aren’t easy to solve. First, the system needs to change how care is given so that the operation runs more efficiently without sacrificing the quality of care. Second, pay must be commensurate with the job duties. CNAs need higher pay, more training, and better solutions for difficult residents. Finally, administrators need to regularly audit patient to nurse ratios, adjust those ratios appropriately so that proper patient diagnosis and care can be done. Laurence P. Banville’s law practice handles the recovery of compensation for elderly victims of neglect. For years he has dedicated his time to those who cannot represent themselves.